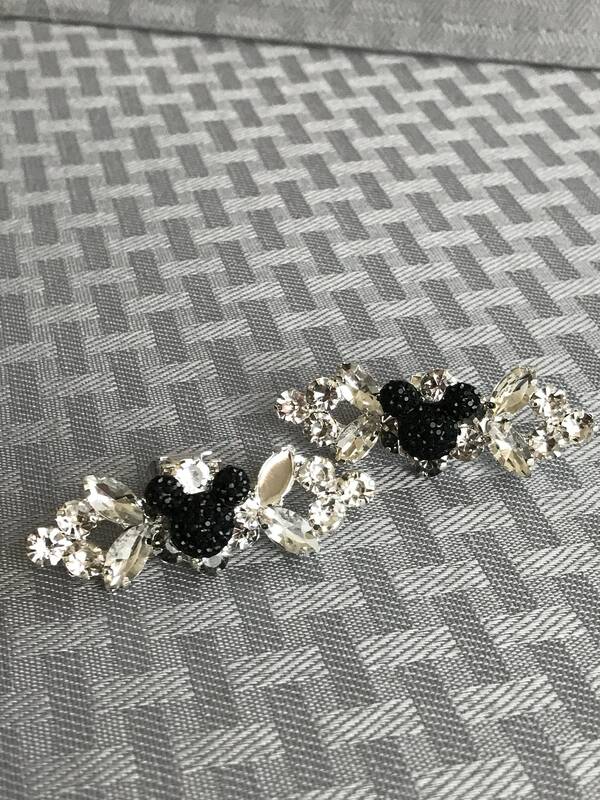 Are you planning a Fairy Tale wedding at one of the Disney Themed Parks or on a Disney Cruise? 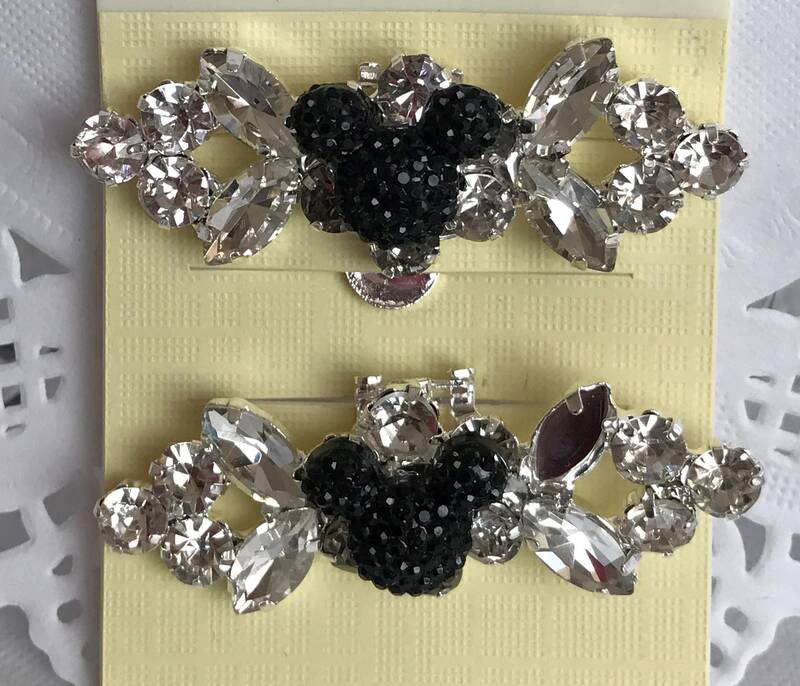 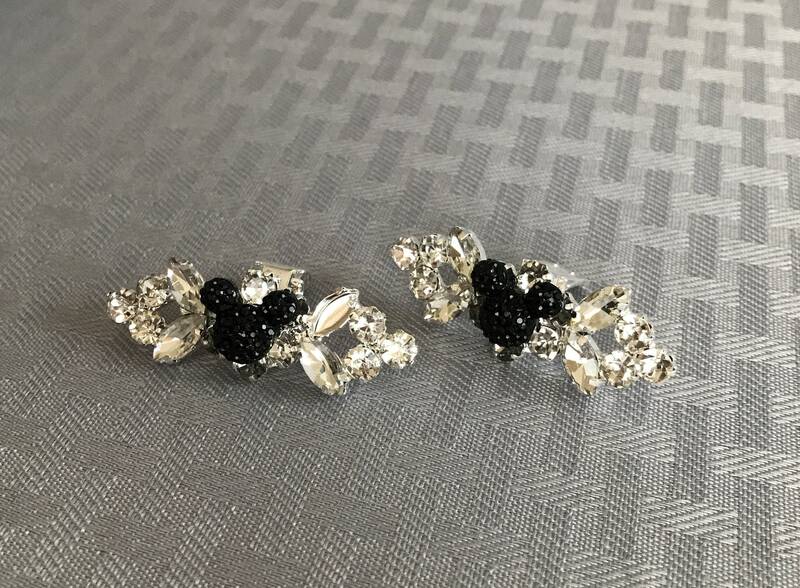 One pair of sparkling shoe clips for Disney Wedding with one classic black mouse silhouette on each one. 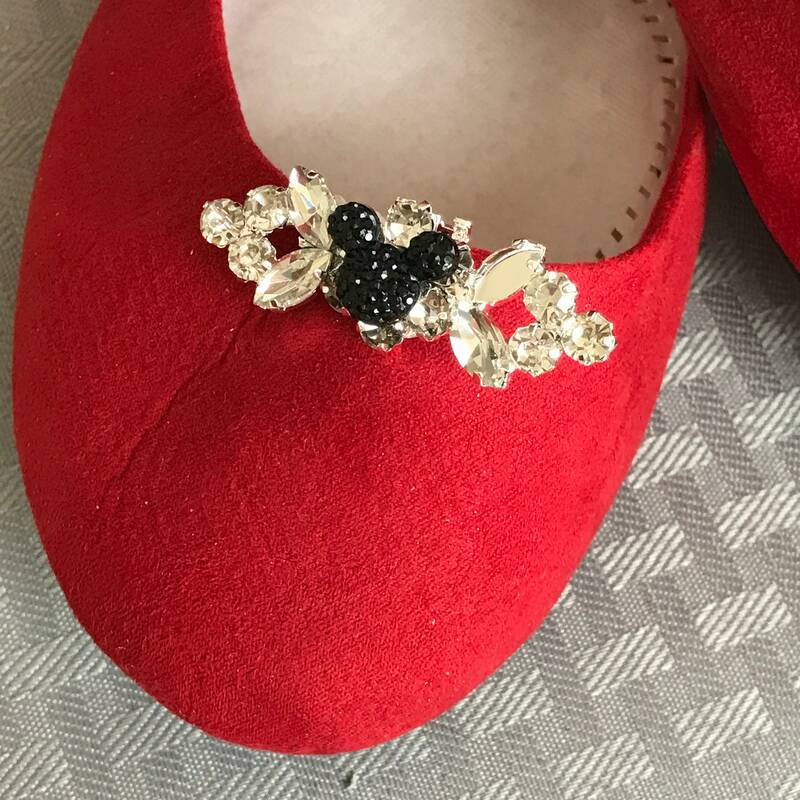 Adorable shoe clips with a magical touch of Disney. 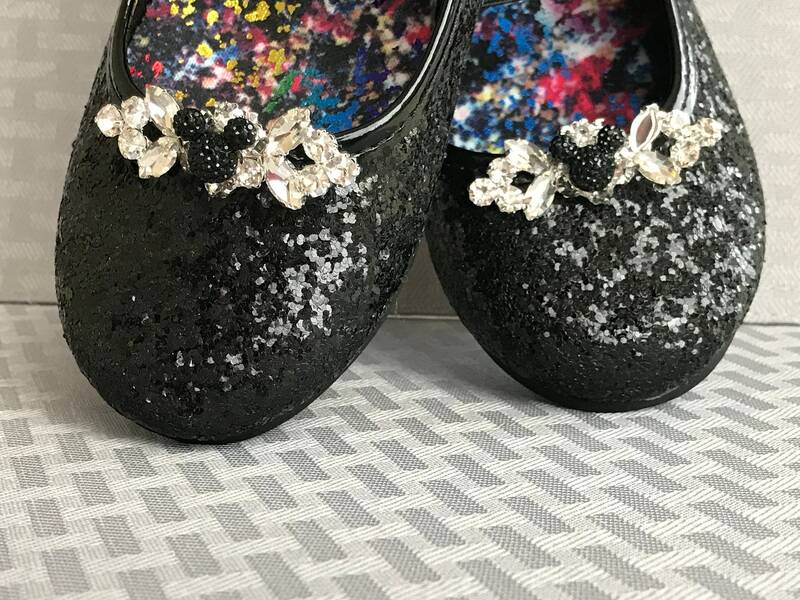 Add them to your fancy shoes or your sneakers or boots. 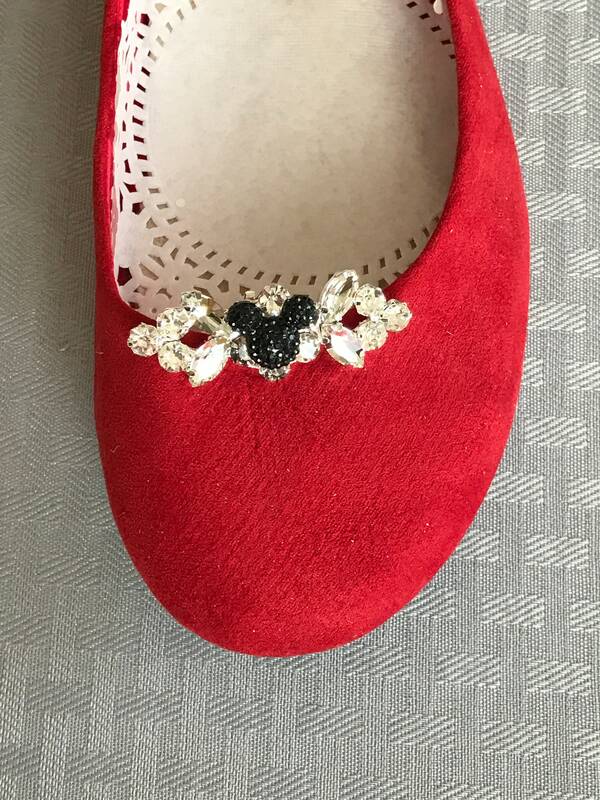 These whimsical shoe clips would be wonderful for your flower girl or bridesmaids. 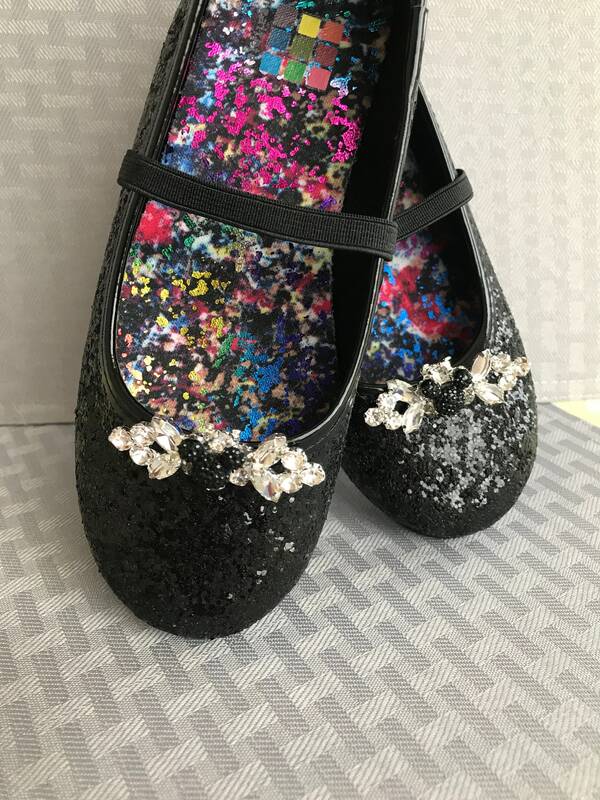 Each shoe clip is almost 2 inches long by 1/2 of an inch high. 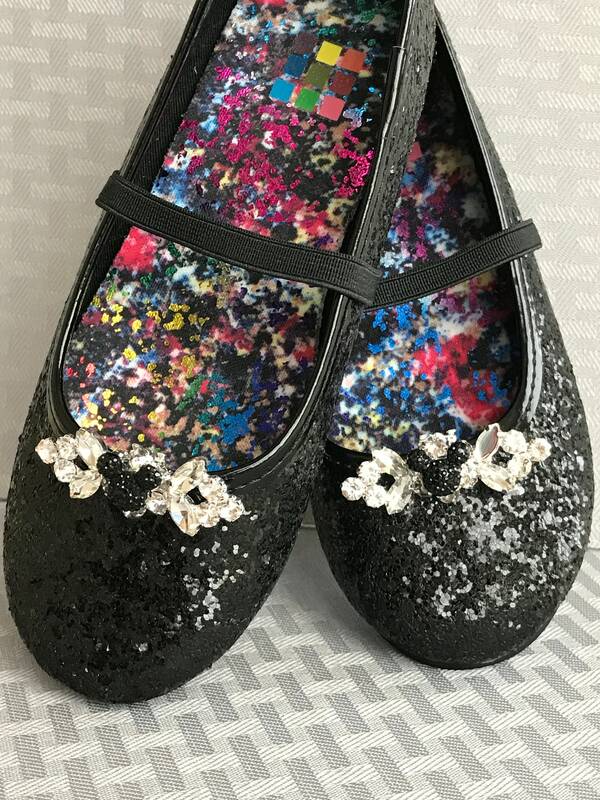 This listing is for the Glass and black shoe clips only. 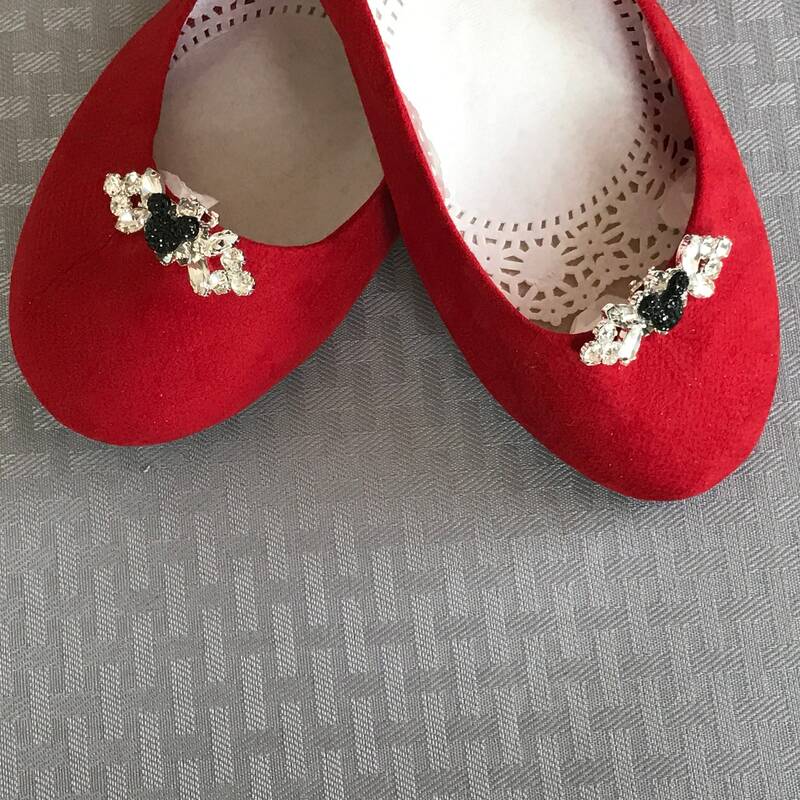 The shoes are just for display. 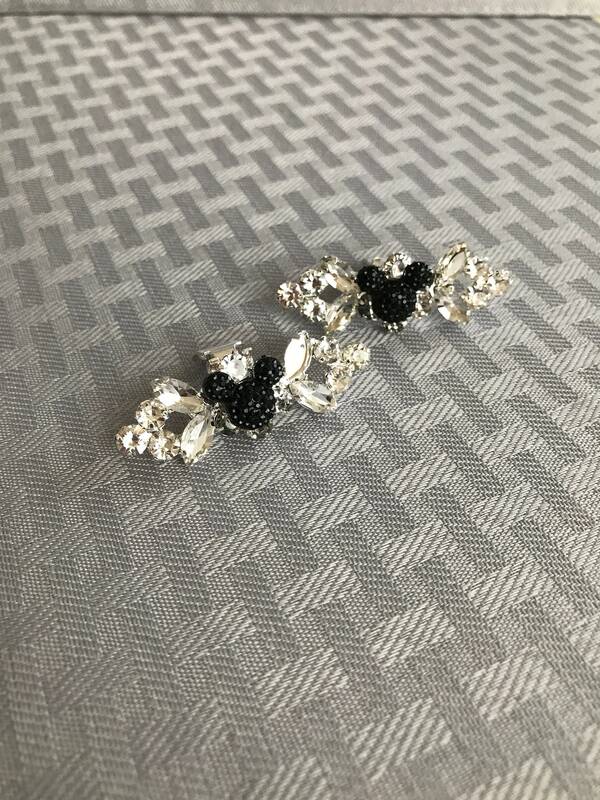 If you need lots of sets for a wedding party I need a 6 week lead time.